I believe traveling isn’t all about visiting new sites and cultures. It’s about clearing your head. When I plan a trip, I get extra excited. In the past, I’ve discovered there’s an underlying meaning to my travel. It’s usually to find something lacking in myself or my life. I can relate to Elizabeth Gilbert’s, the author of “Eat, Love, Pray” journey to find everything. At some point in our lives, I think most of us make the decision to do just that–or at least discover what’s wrong in our lives and try to rectify it. On a trip to Puerto Rico ten years ago, I did just that. Granted, my journey didn’t me to Italy (not that time, anyway), India, and Indonesia, like Ms. Gilbert. However, it took me to an island breeze, lush beaches and blue-green waters, where I vacationed by myself– to find myself. It was a much needed vacation. It was also a chance to clear my head, to put things into prospective, and to weed out the negativity that had been a part of my life for several months: the wrong people, bad decisions, and not enough of the right decisions. I’d stop doing the things I loved. Writing. Reading. Spending time with family and friends. And for what? Someone else’s existence? Not a wise move. I had to squash that. Puerto Rico will always have a special place in my heart because it’s where I realized that my life had taken a turn off course and if I wanted to survive, I had to regain control. Needless to say, the island helped me see things clearly. And as I lay on the beach in Condado early one morning, the sun and horizon came up to greet me, as did tears of clarity. I’d had an epiphany. The next day, I took the bus through Old San Juan to do some shopping and sightseeing. My destination was Castillo San Felipe del Morro, a fortress built in 16th-century to guard the San Juan Bay and protect Puerto Rico from seaborne enemies. The fortress still stands in perfect condition and a tour around the citadel takes you on a journey back in time. The displayed cannon balls used to fight off ensuing enemies, gives you a true glimpse into the past. My walk to the fortress from town was a few miles. When I reached the entryway of Castillo San Felipe del Morro, I was once again in awe of the island’s beauty. At that moment, I became acutely aware that this pathway was more than the road that led me to the citadel’s discovery. It was the road that would lead me to discover myself. I took this picture just before I headed up the hill, and although the road was long, I knew it would lead me to my destination. As it turns out, this was defining moment in my life, and a life’s lesson. I learned that all my goals, destinations and yes, even fears, require that I walk toward them, not away from them. I keep this picture in my office to remind me of that lesson, and as a reminder of my personal journey to find myself. If you happen to be at a crossroads in your life, I’d like to offer a bit of advice, if I may. Plain and simple, DO YOU. No matter what responsibilities you may have or how many people depend on you, it’s important that you’re content with who you are as an individual. Take care of yourself, and take time to clear your head and regroup. It’s your life. It’s your journey. 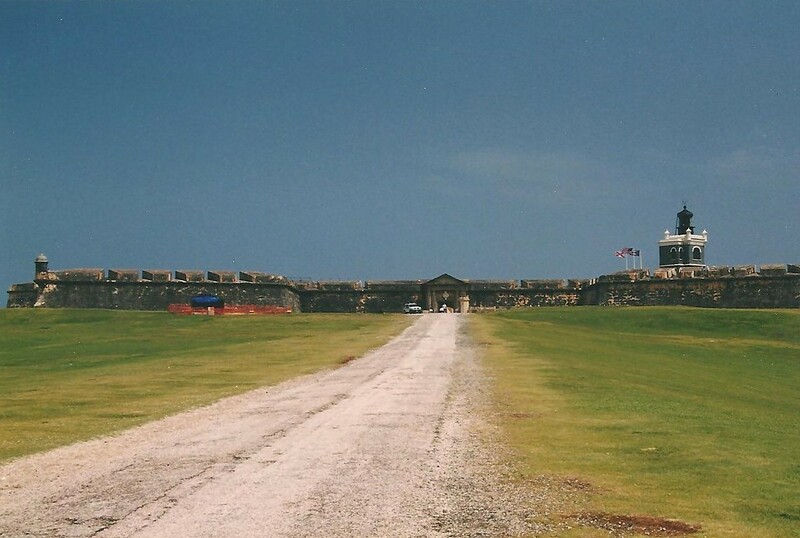 This entry was posted in Life, Thoughts, Writing and tagged bad decisions, castillo san felipe, elizabeth gilbert, freedom, happiness, lessons, life, lush beaches, Puerto Rico, spending time with family, travel, vacation.